The streamlined ergonomic design provides perfect operation effect.Super large LCD touch working status of the machine at a glance.Battery capacity of 145Ah, can work continuously for more than 4.5hours.Stainless steel anti-corrosion and hard to damaged.Adjustable Brush power system easy operation.Machine can be overturned, easy repaired and maintenance. Size: 740 mm x 740 mm 29" x 29"
Crankshaft cleaning machine is specially designed to clean the crank shaft journal with a special emphasis on the oil holes. - High pressure water jetting sewer cleaning machines of varying tank and pump capacity mounted on trailer or chassis. - Ideal for de-silting and de-chocking of both man entry & no-man entry sewers using the concept of high pressure water jetting. • The PC-SRBM - Clean is an industrial quality, water based cleaning machine built for tough cleaning needs. 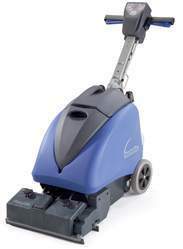 • These machines have been developed to provide effective, fast and economical cleaning. - Can be used for cleaning of stencil, pcb, squeegee , pcb fixtures. - Two sets of completely independent cleaning and drying systems in one equipment.